Opel invites everyone to share its exciting and efficient future mobility vision as shown with its new Brand Concept vehicle: the Opel GT X Experimental – a bold, 4.06-metre, 5-door, all-electric compact SUV with coupé appeal and brimming with innovative ideas. 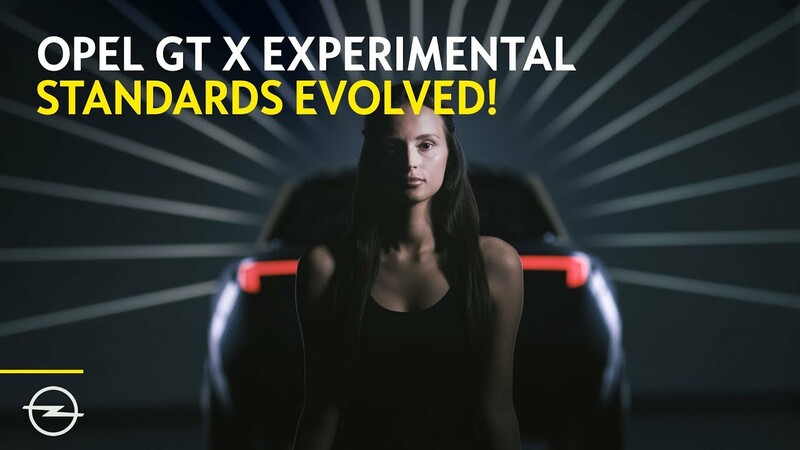 The GT X Experimental embodies Opel’s values and vision and lays the foundation for the product side of the strategic PACE! plan presented last November. While profound work on the industrial, financial and sales structures of the company is already leading to increased profitability and efficiency, Opel CEO Michael Lohscheller also launched a work stream on Opel’s identity in order to perfectly define what Opel models will be in the future. The GT X Experimental is the first tangible result of this process. The GT X Experimental embraces the complexity of future technology while presenting it with sophisticated simplicity. Vice President Design Mark Adams and his team have developed a whole philosophy for Opel’s specific, German design, blending purity with emotional boldness. In the GT X Experimental, each usual function, each module of an automobile has been questioned with the aim of achieving purity of design by removing all unnecessary design elements. This is something the design team calls “visual detox”. Over decades, Opel has used concept cars to shape its future. Most concepts were never meant to ever be produced but they allowed the brand to set guiding principles for its upcoming models. In this regard, the three latest concept cars from Opel display a clear coherence with the development of the brand. The 2013 Monza concept reflected Opel’s quest for more efficiency, and its expression in the sleek design. The 2016 GT Concept took efficiency to the next level, with a design around the core ideas of approachability, simplicity and purity. This has now been taken to the next level by the GT X Experimental and its philosophy based on the spirit of New Germanness expressed in a pure and bold design.